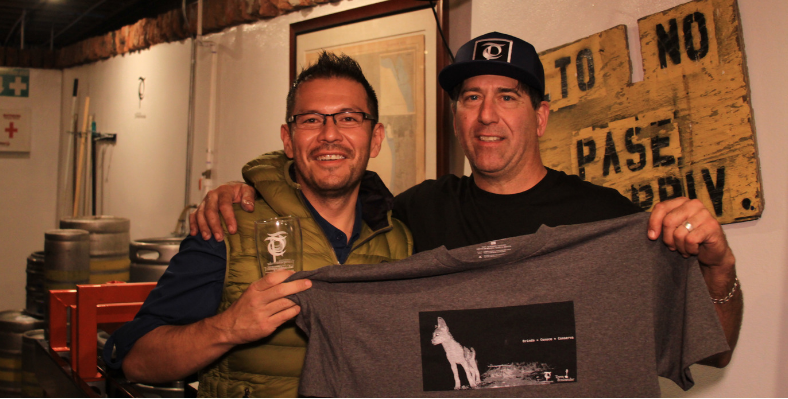 The “Coyote Night Vol.1” event was organized by Terra Peninsular and took place on November 8, 2018 at Cervecería Transpeninsular, Ensenada. With the aim of rescuing and protecting trapped sea lions in the peninsula of Baja California, civil organizations in collaboration with the Mexicans authorities have launched a training campaign on the technique of distant sedation. With the aim of communicating the results of the activities scheduled in the current year for the alliance, on November 5, 2018 took place the Annual Alliance Business Meeting in the San Diego Natural History Museum. The monitoring was carried out from December 10 to December 12, 2018, as part of the project “Bi-national Monitoring of Wintering Long-billed Curlew in Mexicali Valley and northern Gulf of California, Mexico”. Joan Hernández was selected to participate in the workshop “Birds, Professional Careers and Conservation”. Joan is an enthusiastic teenager from the community of La Chorera and a member of the Huellas Volcánicas Photography Club.